Explore the iconic sand dunes of the Namib Desert. Discover the lush Caprivi Strip. 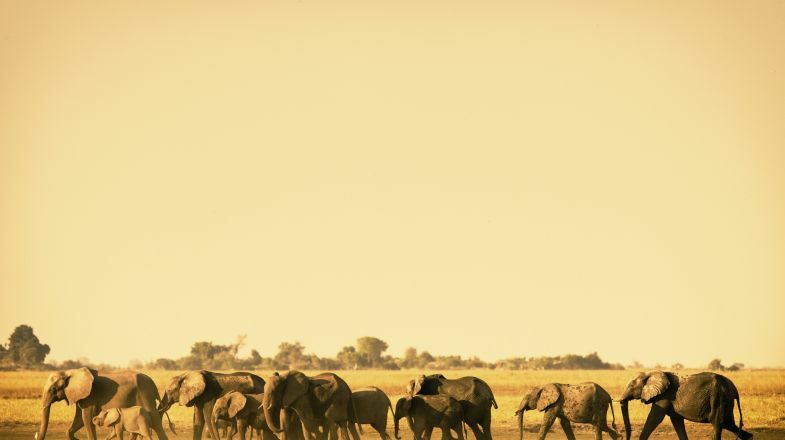 Enjoy a safari in Botswana's Chobe Game Reserve. Small on population and big on wildlife, that’s Botswana! Most parts of the Great Kalahari Desert lie within the borders of this exotic country and it is also home to the ancient bushman tribe, San. Wildlife ranks among the biggest attractions of Botswana. Those savannahs are scattered with all kinds of game lodges and the country is famous for hosting some of the best African safaris. Two of the best destinations for checking out Botswana’s wildlife are the Okavango River Delta and the Northern Tuli Game Reserve. Botswana is truly one of the most extraordinary places in the world, making a holiday in Botswana truly unforgettable. It ranks among the top travel destinations in Africa and always promises a memorable experience. Don’t expect your visit to Botswana to be a cheap one. This is one of Africa’s most affluent countries, with prices to match! ‘Pula’ is not just the name of Botswana’s currency - it is a term of pure delight! ‘Pula’ is literally translated into ‘rain’, and chants of ‘pula’ in this often-dry country mean something good has happened. Botswana has a unique musical culture, best experienced at the Maitisong Festival. This annual festival occurs at the end of March and features some of the country’s top choirs, marimba bands, and theatre performances. Looking for tranquility? A tour to Botswana is for you! Botswana is one of the world’s least densely populated countries, and 40% of its land is dedicated to wildlife parks. To make the most of your time in Botswana, consider skipping Gaborone, the capital city. The city is continuing to develop and there isn’t much to offer in terms of sightseeing. Botswana has seasonal weather so please do check up on the best time to visit Botswana before planning your tour. And if you’re still hunting for more things to do and places to explore in Botswana, do check out our Botswana Travel Guide for more information.